UV, multi media installation at the Honeybee exhibition at El Camino College Art Gallery highlighted a current project where Kasmer examines the symbiotic relationship between man, bees and their plant life environment. 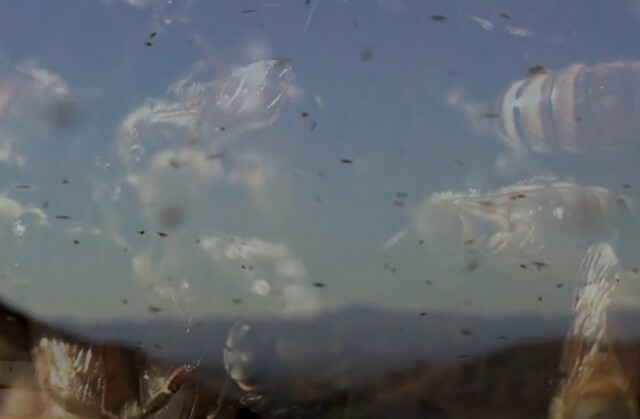 Evolution created a co-dependent relationship and by visually examining the macro realm within which insect and vegetation exists, a synergistic system is revealed. What is usually non-observational is now seen and collaborations both literal and symbolic are laid bare. Using an assemblage of artist crafted mediums; a video with original sound composition is the centerpiece of the installation. Additionally, Kasmer incorporates fabric, photography, scent, and furnishings influenced by bee actions to create a habitat for gallery visitors. A live event featured experts and enthusiasts, food and facts accompanies the installation. 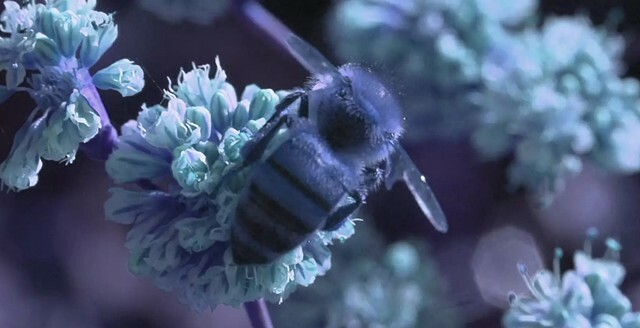 The title, UV, alludes to how a bee sees, which is in a different spectrum from humans. Kasmer appreciates this view and lightly refers to how her own vision has been challenged and altered due to personal physical impairments.